Meet the plant that’s making a statement. 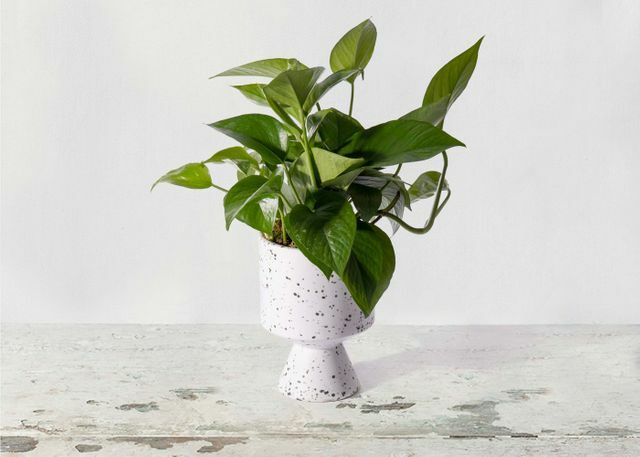 Named for the iconic French designer, this sleek and stylish pothos is as timeless as a little black dress. Its speckled black and white pot and wild greens will catch anyone’s eye. Real talk: If you’re not happy with your order for any reason, we’ll replace it or give you a full refund. Promise. We’re sourcing responsibly grown blooms directly from our farms. It’s a radical approach with your happiness at the helm. Earn $15 for every friend you invite. Hear first about exciting news and promotions.